Toshiba Toner Cartridge T-4590D For E-studio 256 - 306 - 356 - 456 - 506 - 206L. Toshiba Color Toner Cartridge T-FC28D For E-studio 2330c - 2820c - 3520c - 4520c. 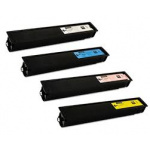 Toshiba Color Toner Cartridge T-FC55D For E-studio 5520c - 6520c - 6530c - 6550c. Compatible Printer models : E-Studio 255 - 305 - 355 - 455. 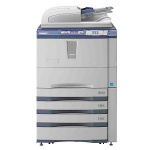 Compatible Printer models : E-Studio 2330c - 2820c - 3520c - 4520c. 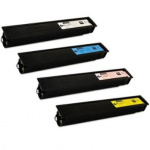 Compatible Printer models : E-Studio 5520c - 6520c - 6530c - 6550c.